Only 2 4dr Sdn Preferred FWD models left in stock! Nav System, Moonroof, Keyless Start, Onboard Communications System, Back-Up Camera, WiFi Hotspot, DRIVER CONFIDENCE PACKAGE I. Preferred trim, DARK MOON BLUE METALLIC exterior and EBONY interior. EPA 32 MPG Hwy/22 MPG City! SEE MORE! Rear Air, Back-Up Camera, Onboard Communications System, Keyless Start, WiFi Hotspot Heated Mirrors, Electronic Stability Control, Bucket Seats, Electrochromic rearview mirror, 4-Wheel ABS. 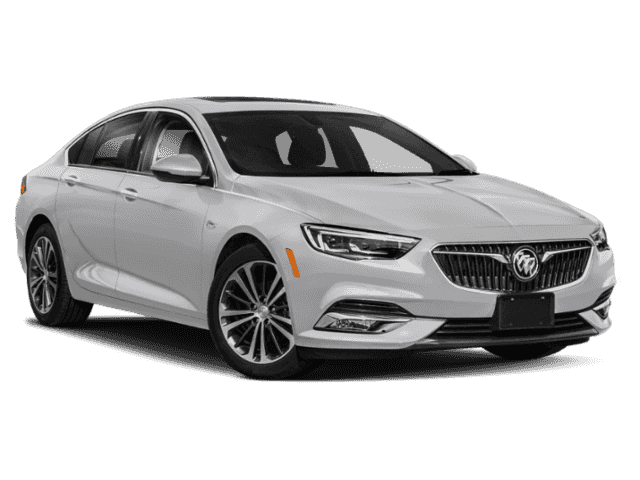 SIGHTS AND SOUNDS PACKAGE includes (IOT) Buick Infotainment System with Navigation and 8 diagonal color touch screen, (U2M) HD Radio and (UQA) Bose premium 8-speaker system (Also includes (BTV) Remote Vehicle Starter System and (UDD) display. DRIVER CONFIDENCE PACKAGE I includes (NJ0) Electric rack-mounted power steering with variable assist, (T4L) LED headlamps, (T95) cornering lamps, (TR7) headlamps with auto leveling, (UD7) Rear Park Assist, (UFG) Rear Cross Traffic Alert, (UKC) Lane Change Alert with Side Blind Zone Alert, (RCV) 18 wheels and (R0X) 245/45R18 blackwall tires, MOONROOF, POWER, TILT-SLIDING WITH SUNSHADE, LPO, BUICK INTERIOR PROTECTION PACKAGE includes the following dealer-installed LPO accessories: (VAV) All-weather floor mats, LPO and (CAV) Cargo tray, LPO, ENGINE, 2.0L TURBO DOHC 4-CYLINDER SIDI WITH VARIABLE VALVE TIMING (VVT) (250 hp [186.4 kW] @ 5400 rpm, 260 lb-ft of torque [351 N-m] @ 2000 - 5200 rpm) (STD), AUDIO SYSTEM, 8 DIAGONAL BUICK INFOTAINMENT SYSTEM WITH NAVIGATION includes multi-touch display, AM/FM/SiriusXM stereo, Bluetooth streaming audio for music and most phones, Android Auto and Apple CarPlay capability for compatible phones, advanced voice recognition, in-vehicle apps, personalized profiles for infotainment and vehicle settings, includes greater memory (STD), TRANSMISSION, 9-SPEED AUTOMATIC (STD).